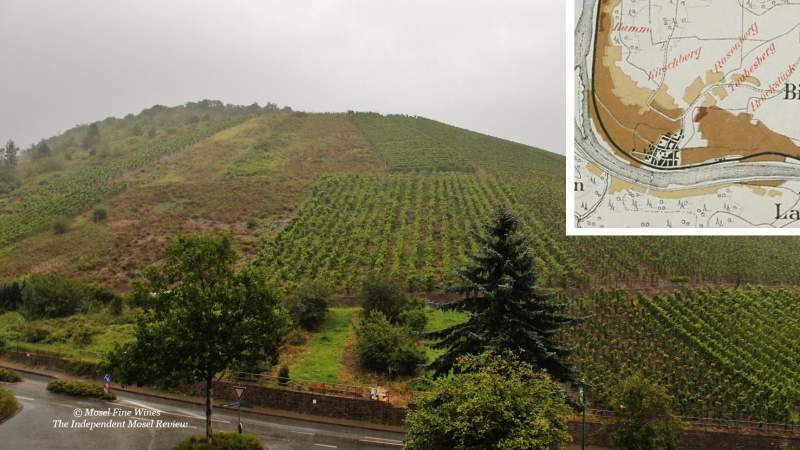 The Mosel has been making huge progress with its Pinot Noir wines. Few epitomize this better than this superb Spätburgunder by newcomer Tobias Feiden. Red wine has been produced in the Mosel since centuries. However, one myth appearing regularly in publications or on the internet needs correcting: The Mosel has not been red wine country, at least not since the Middle Ages. As our research on German winemaking a century ago has shown (published in Issue No 33), less than 0.1% of Mosel wine was red in 1910. Even before Riesling took over the region almost completely in the late 19th century, the overwhelming majority of the Mosel wine was white wine. This was confirmed over and over again in all primary sources of the period. However, this does not mean that Mosel did not produce any red wine at all. In fact, it did, notably Spätburgunder and sometimes Portugieser (we even found records of Cabernet Sauvignon made from Bordeaux cuttings as far back as the 1840s!). Not only did the Mosel produce some red wine, it was also well-regarded internationally. In the 1900 World-Exhibition in Paris, the Wwe Gensterblum Estate achieved a gold medal ... the same medal that the Weingut Egon Müller still mentions proudly on the Estate's current label! Mosel red wine was dealt an almost clinching blow after its production was forbidden by the Nazi authorities in 1937. It was only in 1986 that the region was allowed to plant red wine grapes again. After the ban was lifted in the Mosel in 1986, pioneers started to plant some red wine grapes. A large part of this proved to be Dornfelder and other rather high yielding quaffing material. However, some growers started to experiment with Spätburgunder. Truth must be told, for many years, these Mosel Spätburgunder were not really setting the Thames on fire. High yield clones, very late harvesting and a tendency to lavishly oak the wines produced rather extreme wines with sweet jam, a soft structure and tannic vanilla trying to woe for the wine lover’s attention. 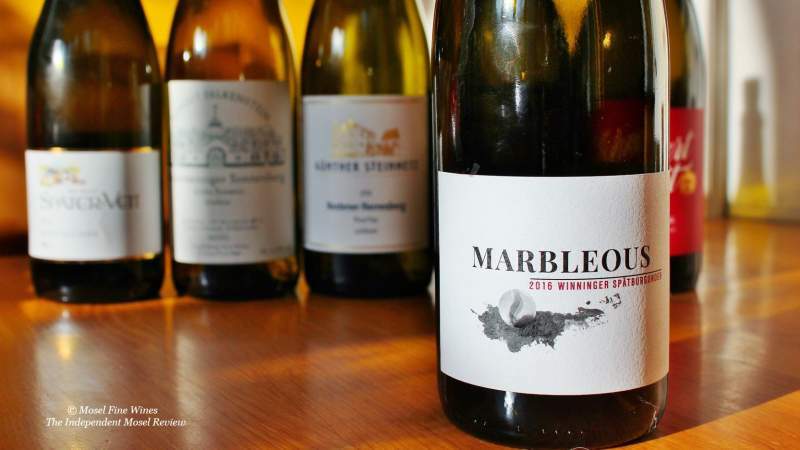 It is only in the last decade, often under the impulse of a younger generation, that Mosel Spätburgunder started to develop precision, finesse and its own and unique character made of ripe fruit, smoke and spices. Better clones, better vineyard management, and, above all, a more thoughtful oak management allowed the growers to produce truly interesting and complex Spätburgunder. In particular, Erich and Johannes Weber (Hofgut Falkenstein), Reinhard Löwenstein (Weingut Heymann-Löwenstein), Gernot Kollmann (Weingut Immich-Batterieberg), Peter Lehnert (Weingut Lehnert-Veit), Heinz Welter (Weingut Später-Veit), Uli Stein (Erbhof Stein) and Stefan Steinmetz (Weingut Günther Steinmetz) have been pushing the Mosel Spätburgunder boat in terms of finesse and elegance over the last few years and are now regularly producing truly outstanding wines. 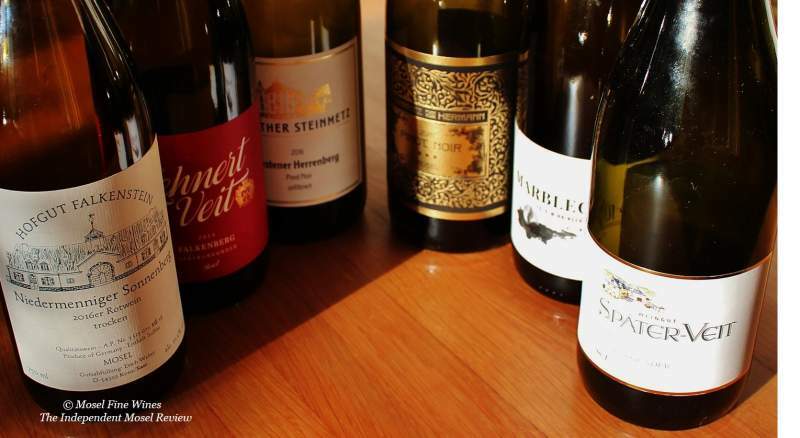 We reviewed many of the latest releases from these Estates in this year’s Mosel Fine Wines Issues and can only encourage our readers to track some of their wines down. One grower has taken the market of elegant Spätburgunder by storm only recently: Tobias Feiden in Winningen. We already reported on his remarkable commercial début vintage last year in the Mosel Fine Wines Issue No 38 (Oct 2017). Tobias Feiden is the partner of Rebecca Materne (from the Weingut Materne & Schmitt) and works for the von Canal Sekt winery in Winningen. Besides his day job, he took on a parcel in the steep part of the Winninger Domgarten called Taubesberg which was planted with Spätburgunder. As Tobias explained: "My vineyard is situated high up the hill and faces south in a small side valley. This means that it does not get the full brunt of the sun from dawn to dusk, which suits Spätburgunder." He has added other vineyards since but remains a small operation (with only 0.4 ha). Tobias Feiden ferments his wine at the facilities of Materne & Schmitt. He relies on only partial de-stemming, little pumping, extended (18 months) aging in used barrique and unfiltered bottling. Not having any reserve wines, he had to compensate the loss of volume from evaporation by filling up the barrique with some glass marbles. This oddity gave him the idea for the name of his wine: Marbleous. Whoever appreciates Spätburgunder on the elegant side, i.e. with presence but without undue oak, should have a very close look at this exciting new project. The word is out for importers and wine lovers to try to lay their hands on a few bottles! Readers will find some outstanding Spätburgunder from the Mosel in the Issues of Mosel Fine Wines. You are a subscriber and miss some of these Issues? Simply send us a request by email and we will be happy to send you a copy. You are not yet a subscriber and wish to get some of these Issues? Subscribe free of charge by registering yourself here below and ask us for a copy by email.